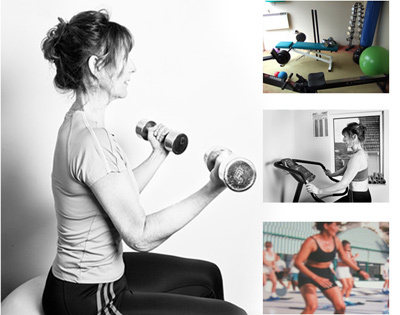 Hi my name is Marie and I’ve been helping ladies with their health and fitness for over 20 years. I started my career within the fitness industry instructing aerobics classes I gained a wealth of experience working in gyms and health clubs before qualifying as a personal trainer and healthy lifestyle coach. I also made a decision to learn and discover all that I could about what gets in the way of successful weight loss and the most simple and effective strategies for losing weight and maintaining an ideal weight and shape. To this end I developed my very own programme “The Simple Slimming Solution” which has helped hundreds of ladies finally break free from the endless cycle of dieting and calorie counting. Health & fitness is to me, simply a way of life. Everything I teach, the principles of exercise and nutrition that I share with you are the very same things that I do for myself and my family. With two young boys to look after, running out of energy is not an option! I firmly believe that quality nutrition is the corner stone of good health and that we should aim to get that from the foods that we eat. However, I do use supplements to make up the shortfalls and the brand that I consistently use are Nature’s Sunshine, contact me for more information. So if you too would like to start and finish the day with plenty of energy to do the things you enjoy, download the book , read all my top tips on how to feel fab, fit and full of beans whilst shifting those extra pounds for good!